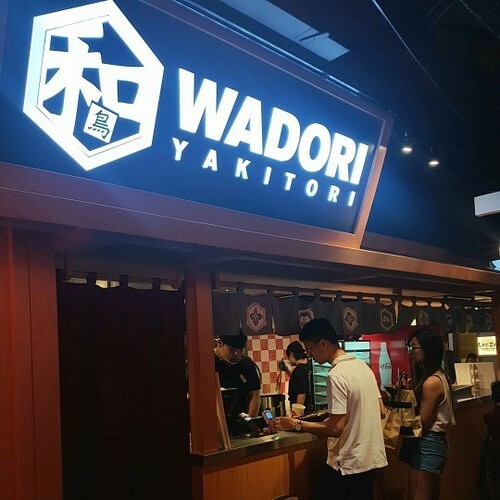 Wadori Yakitori Japanese restaurant is located within Singapore’s Jurong Point shopping centre, at 1 Jurong West Central 2. Owned and managed by RE&S group, Wadori Yakitori specializes in yakitori dishes – grilled pure Japanese bliss on a stick – Japan’s favourite street food. The menu consists of Japanese skewered chicken & meats, grilled to tender perfection and dipped in homemade tare (sauce). Wadori features ample seating for quick and convenient dining in a friendly and relaxing environment. RE&S group, which owns and manages Wadori Yakitori, also has a portfolio of other Japanese restaurant brands in Singapore. These other brands include Kuriya Dining, Ichiban Boshi, Ichiban Sushi, Kuishin Bo, Shimbashi Soba, Men-Ichi, Yaki Yaki Bo, Sumiya, Kabe No Ana, Shabu Tontei, Gokoku, Shabu-Ichi, Tokyo Eater, Fiesta, Shokutsu Ten, Kuriya Japanese Market, Ichiban Bento, Idaten Udon, Ginzushi, Daimon Food Alley, as well as Tenfuku Tendon Specialty.